AND Wednesday at St. Rita Catholic Church from 9:30 am until time of Mass at 11:00 am. Francis “Doc” L. Olley, age 89, passed away Friday, April 12, 2019 at St. Monica’s Memory Care. 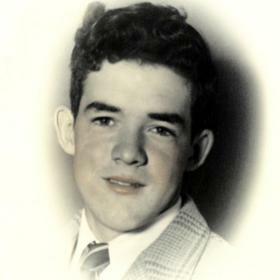 He was born in Racine, May 20, 1929, son of the late George and Alvina (Nee: Meyer) Olley. 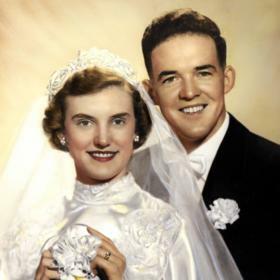 On February 14, 1953 at St. John Nepomuk Catholic Church he was united in marriage to Jo Ann M. Carls who preceded him in death, October 17, 2005. 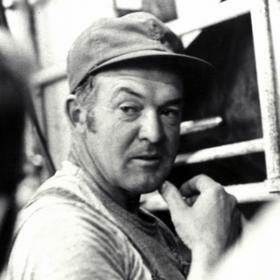 He (and his brother Raymond) owned and operated the family dairy farm in Franksville for many years. When Doc retired from farming, he drove coach bus for Lamers part time. In his free time Doc enjoyed bowling, watching Brewer/Packer games and cutting his lawn. Above all he was devoted to and loved spending time on the farm with his children, grandchildren and great-grandchildren. He was a longtime member of St. Rita Catholic Church. 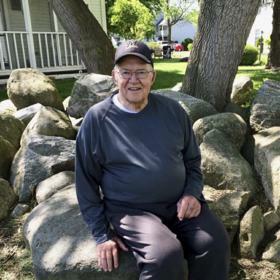 He will be dearly missed by his five daughters: Lynda (Ron) Voll, Cathleen McDowell, Coleen Hilgendorf, Jane (Bruce) Ratkowski, and Barb (Tom) Sinnett; daughter-in-law, Mary Ann Olley (Joe Cailles); 12 grandchildren, Matt (Colleen), Tim (Erin) and Jon (Lindsay) Voll, Elizabeth (Ben) Madore, Joe (Kathryn) and Evan McDowell, Nicole (Nick) Marx, Courtney (Andrew) Schneider, Katie (Alan) Galonski, Hannah Ratkowski (Patrick McDonald), Logan (Bryce) and Amanda Sinnett (Patrick McCauley); 15 great grandchildren: Ella, Rhys, Lucy, Natalie, Josh, Alexis and Wesley Voll, Oliver Madore, Vincent, Oliver, and Ansel Marx, Noah, Wyatt, Easton, and Eloise Galonski; sisters: Sr. Michelle Olley, O.P., Sr. Betty Olley O.P. ; sister-in-law, Gail Olley, many nieces, nephews, other relatives and many dear friends. In addition to his parents and wife he was also preceded in death by his sons, Michael and Thomas Olley; his grandson, Mark Olley; his brothers Rev. 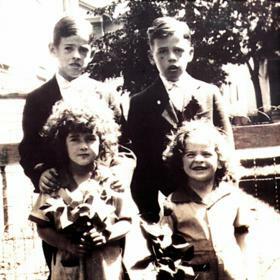 Edmund, Donald, Raymond, and David Olley. A Mass of Christian Burial will be celebrated Wednesday, April 17, 2019, 11:00 am at St. Rita Catholic Church, 4339 Douglas Avenue, with Rev. Rich O’Leary OSA officiating. Entombment will be held at Holy Cross Garden Mausoleum, Highway 32. Relatives and friends may meet with the family at the funeral home on Tuesday from 5:00 pm until 7:00 pm and Wednesday at the church from 9:30 am until time of Mass at 11:00 am. Memorials to St. Monica’s Memory Care Unit have been suggested. The family wishes to extend a special thank you to Karin Macholz and the staff at St. Monica’s for the loving care they provided to our father.